What Washoe did next was unexpected. 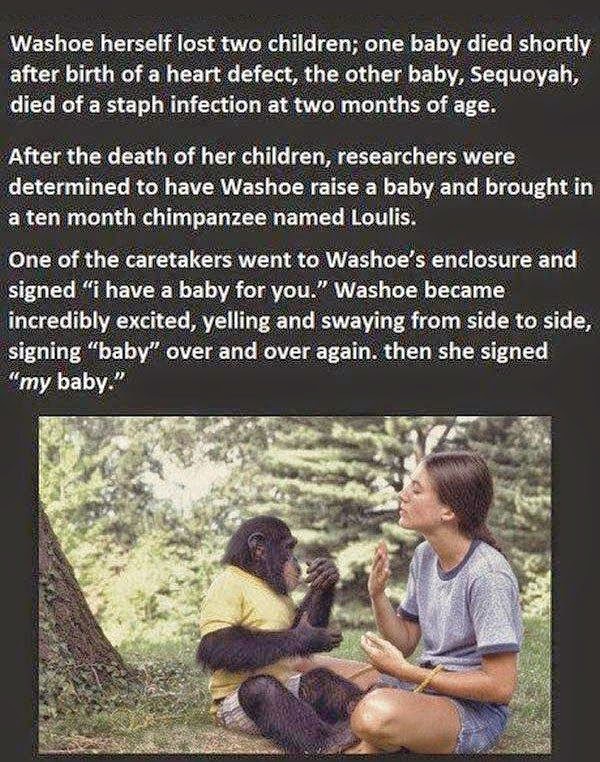 After losing two children of her own, she was given a ten month old chimp named Loulis to take care of. Washoe offered Loulis to Kat. 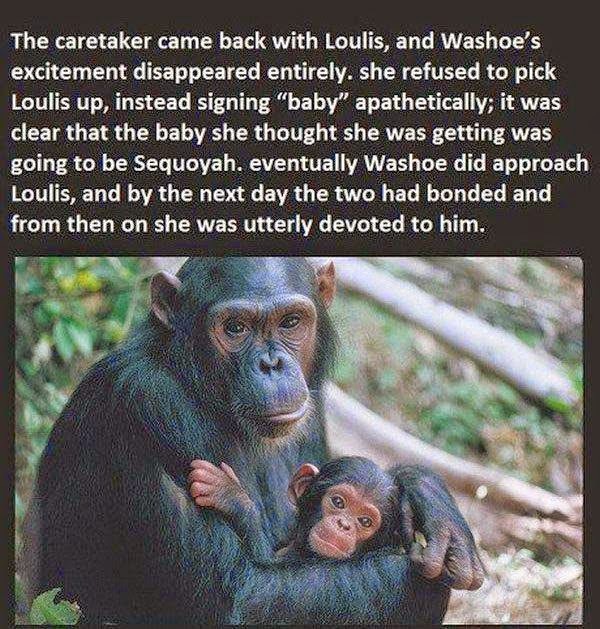 Of course, Kat could not accept the ‘gift’ and made sure that Washoe would adopt and take care of Loulis again. 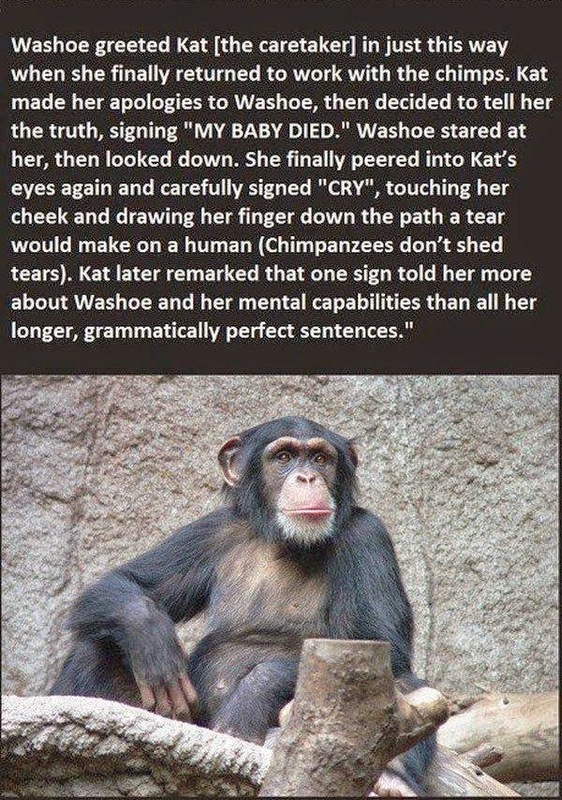 One wonders if this is how chimpanzees think in the wild. 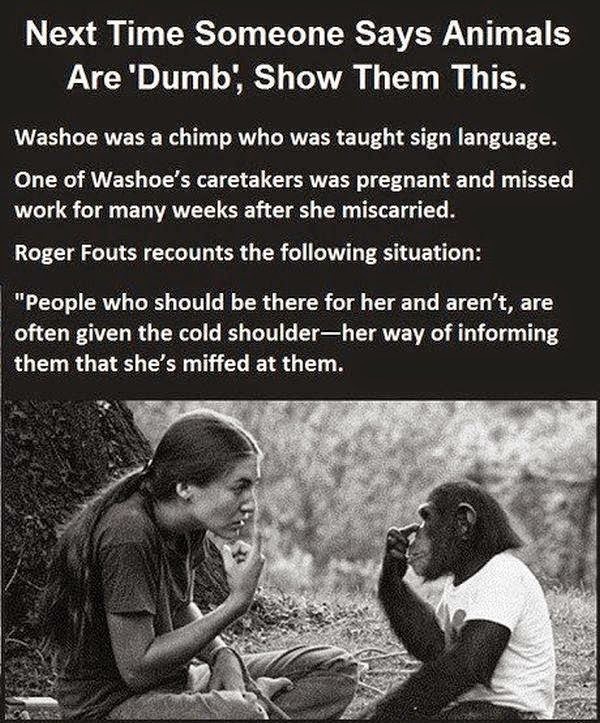 One wonders if chimpanzees trade babies with each other all the time. Perhaps adoption is a universal trait as well.